I love #twinning with Baby B, but only in a chic non-cheesy way. 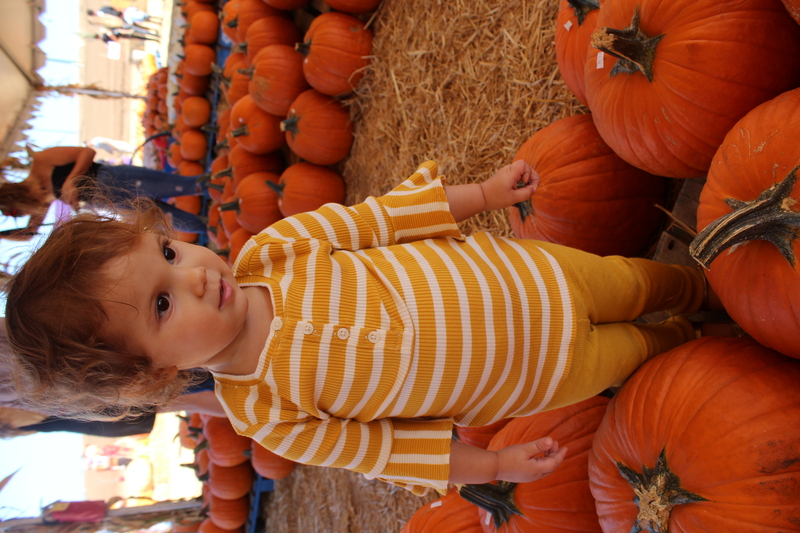 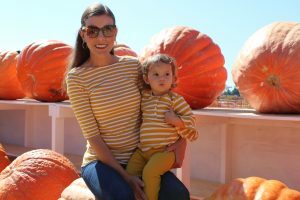 This cute stripe mustard number is thanks to Old Navy and Grandma who sent it to us. 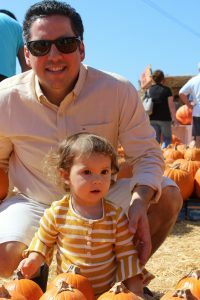 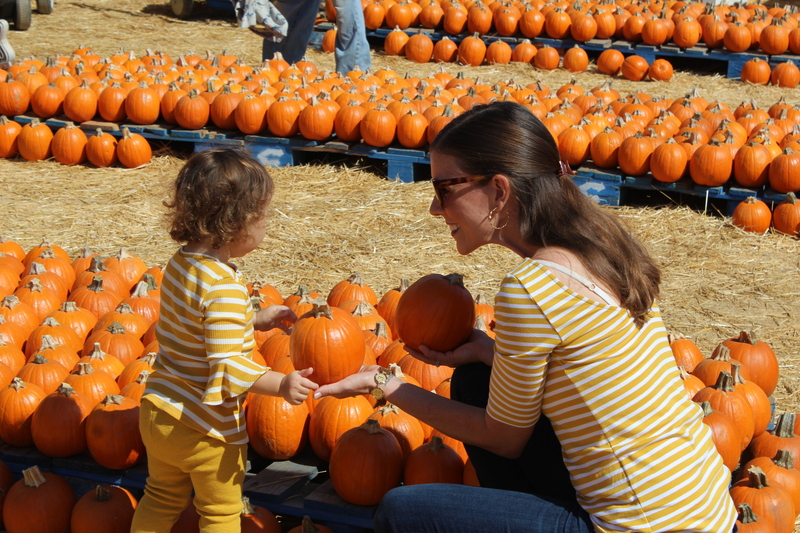 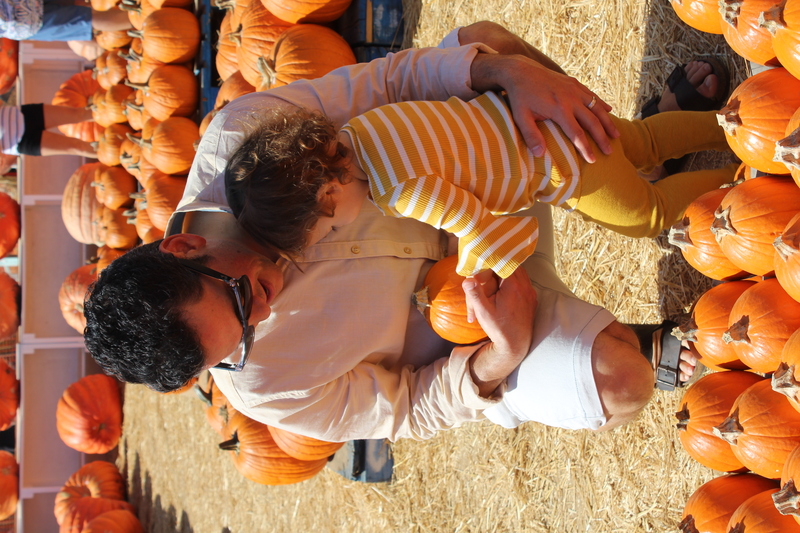 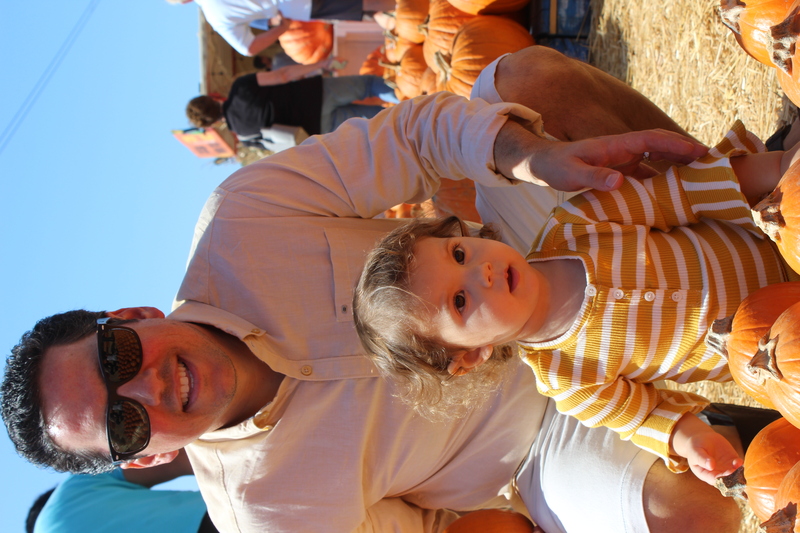 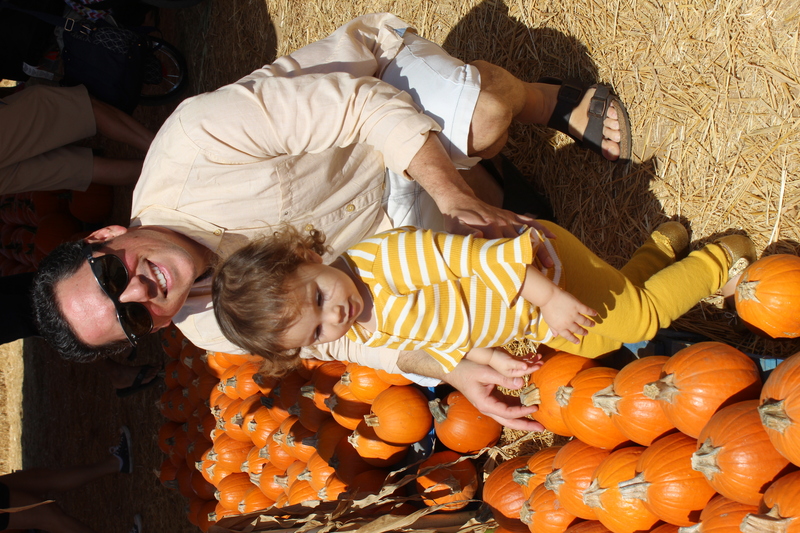 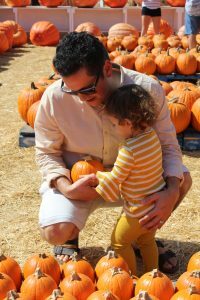 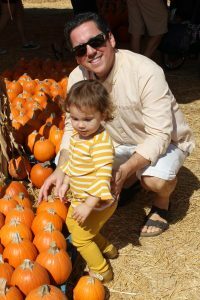 I even got my hubby to embrace the fall yellows and join us in this color coordinated putting to the pumpkin patch. 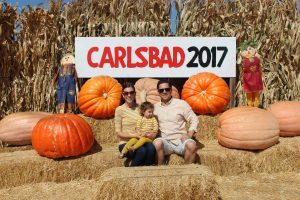 I highly recommend for families the patch off the 5 freeway in Carlsbad. 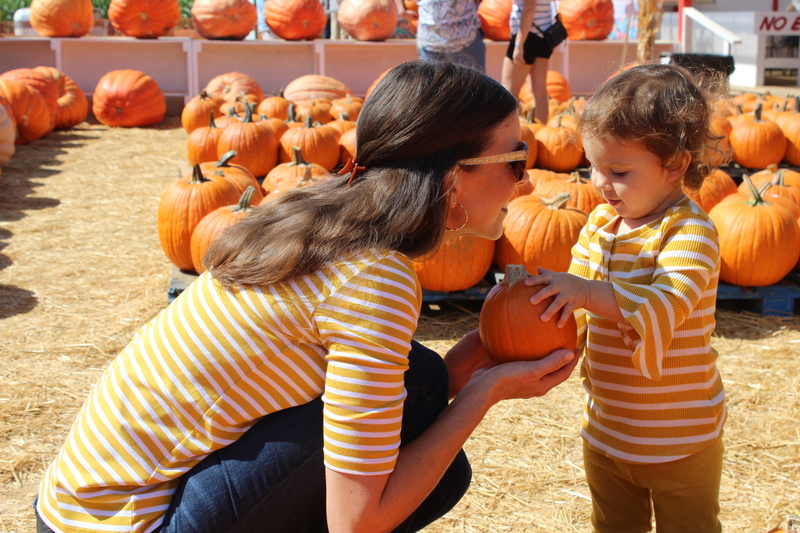 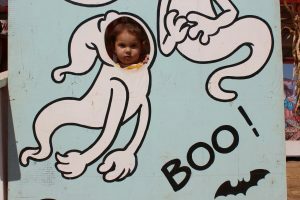 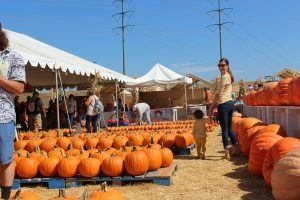 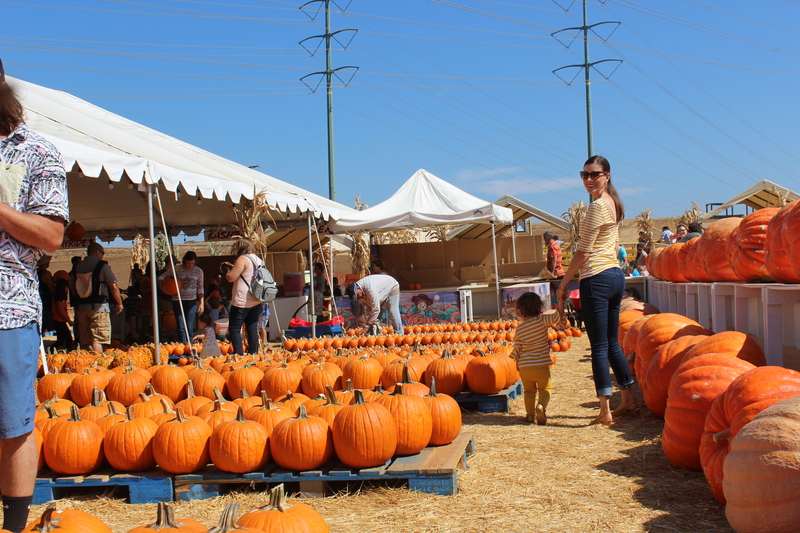 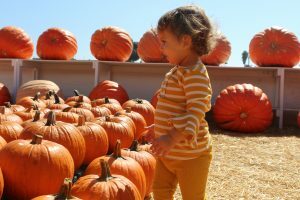 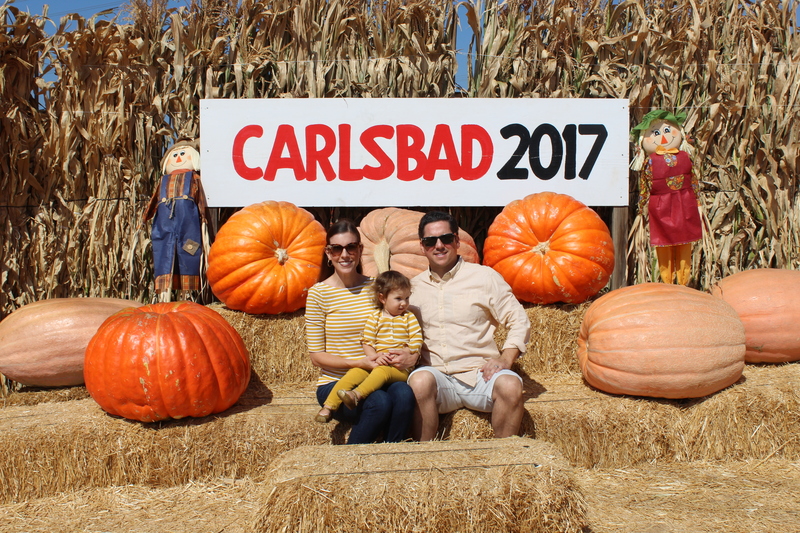 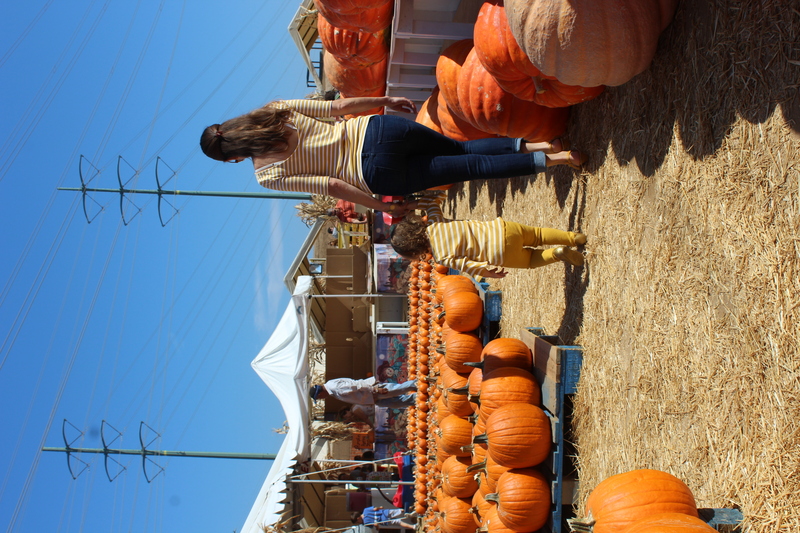 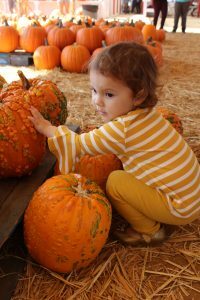 It has a tractor rides, corn maze, activities like face and pumpkin painting. 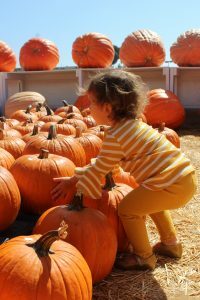 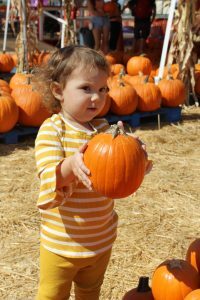 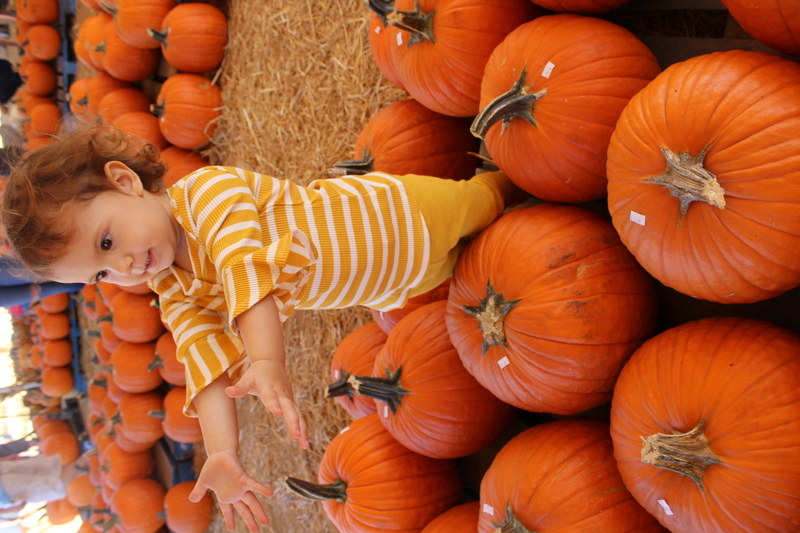 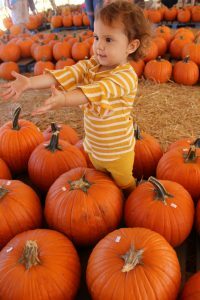 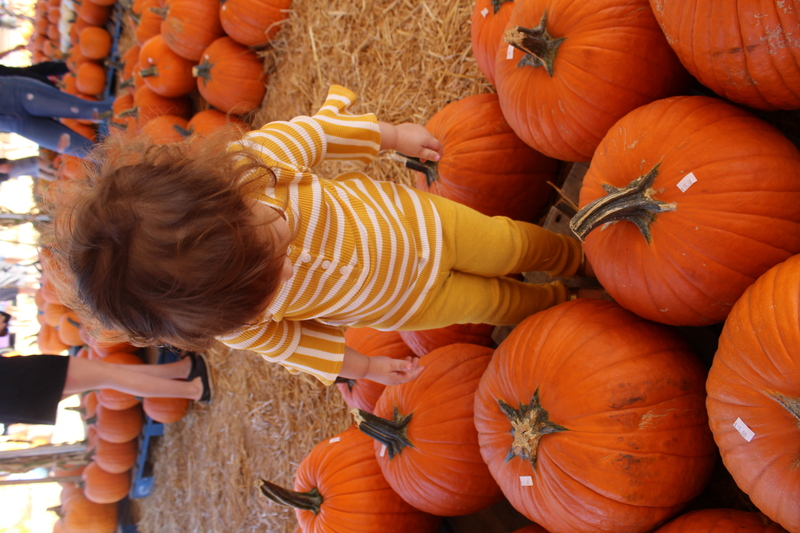 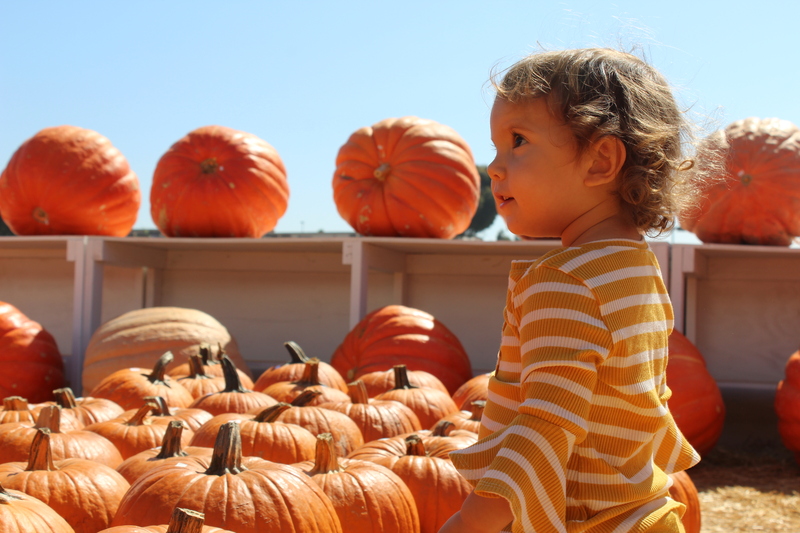 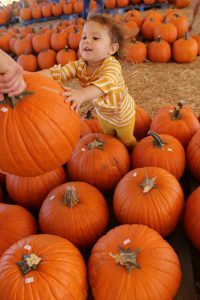 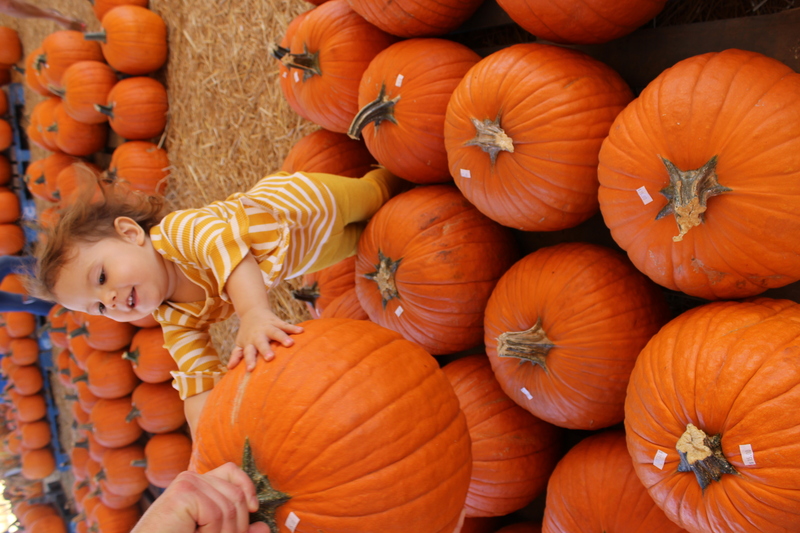 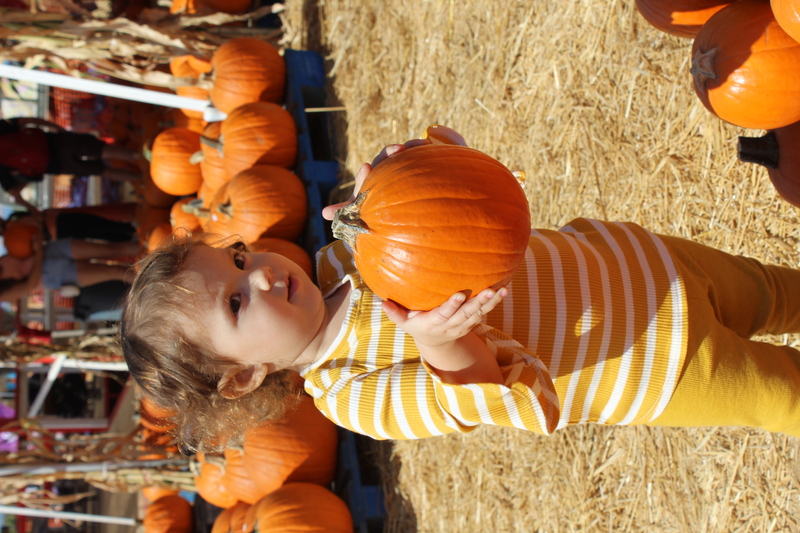 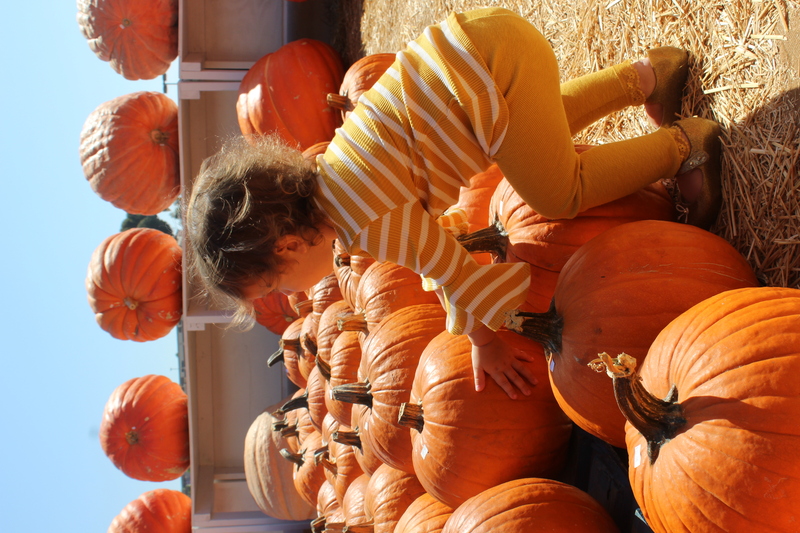 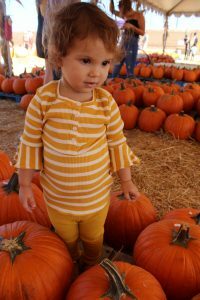 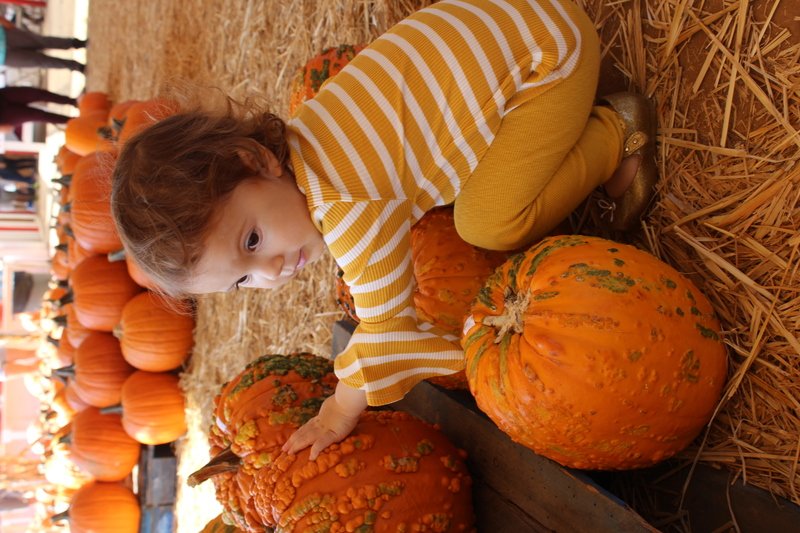 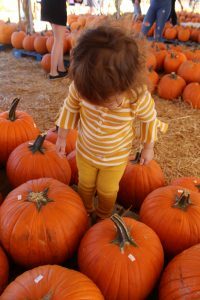 Baby B was pleased just with exploring with all the different sizes, varieties and shapes of pumpkins. 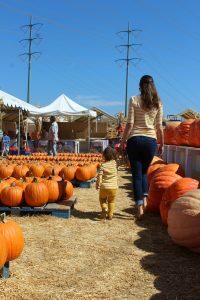 Note, there is a fee just to get into the patch, but kiddos are free.